Background: The Bobolink population has declined by 33% in Ontario over the last 10 years¹ and 88% in Canada over the last 40 years². 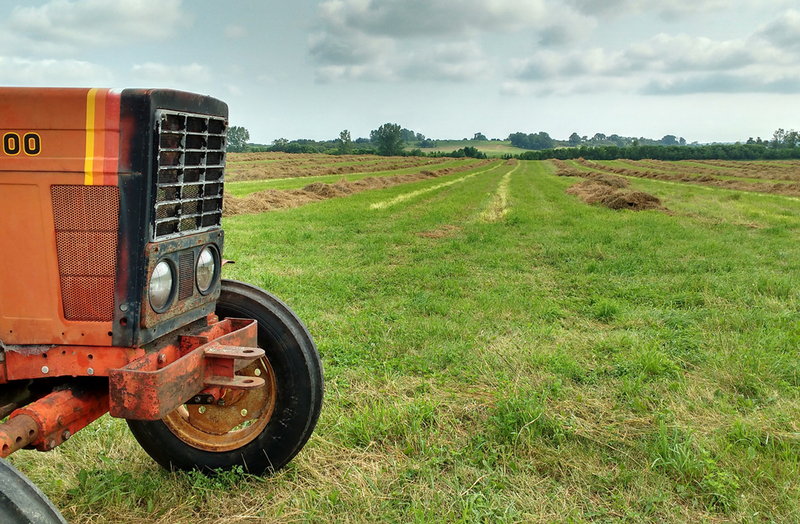 The intensification and modernization of agricultural practices, including earlier and more frequent hay harvesting, is considered one of the main causes of population declines because these practices can inadvertently destroy nests. 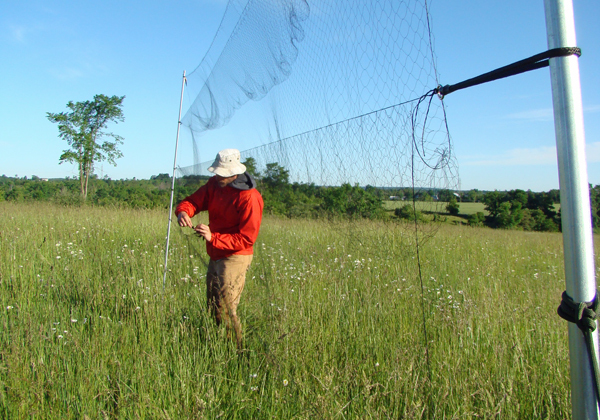 Numerous studies have assessed the direct impact of hay harvesting on Bobolink reproductive success in hay fields; however, little is known about adult bird behaviour, movements, and re-nesting following hay harvests. Understanding habitat use and re-nesting after the hay harvest is important for conservation planning to ensure adequate availability of breeding and post-breeding habitat. 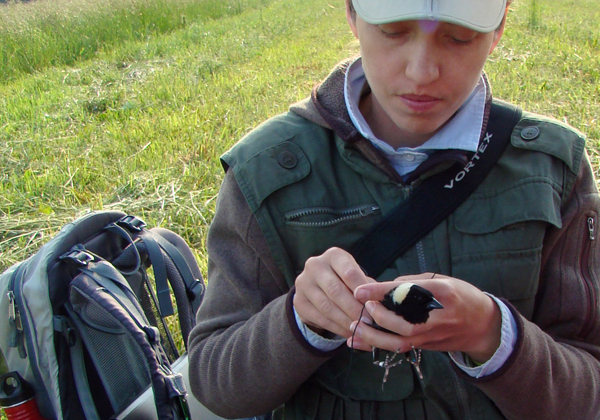 Project work: In 2016, we conducted a pilot project to learn more about where adult Bobolink go and if they re-nest after their nests are destroyed by the hay harvest. 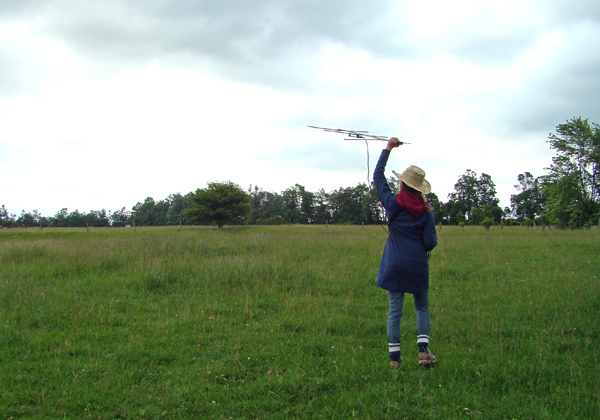 To follow their movements, we tagged five birds nesting in hay fields with miniature radio-tracking devices. We tracked three Bobolink for more than five weeks; none of them re-nested. These birds were most frequently detected in a proximate fallow field and an uncut hay field. The other two birds disappeared from our study area shortly after the hay field they were nesting in was cut. We suspect these two birds dispersed beyond our search range. Conservation implications: Uncut hay fields and fallow fields proximate to cut fields may provide important refuges for adults dispersing from hay cuts during the breeding season. This pilot project helped us understand the feasibility of a larger study to investigate adult dispersal and re-nesting following the hay harvest. ¹ McCracken, J. D., R. A. Reid, R. B. Renfrew, B. Frei, J. V. Jalava, A. Cowie, and A. R. Couturier. 2013. Recovery Strategy for the Bobolink (Dolichonyx oryzivorus) and Eastern Meadowlark (Sturnella magna) in Ontario. Ontario Recovery Strategy Series. Prepared for the Ontario Ministry of Natural Resources, Peterborough, Canada. ² Committee on the Status of Endangered Wildlife in Canada (COSEWIC). 2010. COSEWIC assessment and status report on the Bobolink Dolichonyx oryzivorus in Canada. Ottawa, Canada. Funding: Support for this project was provided by the Ontario Trillium Foundation and the CICan Clean Tech Internships program.